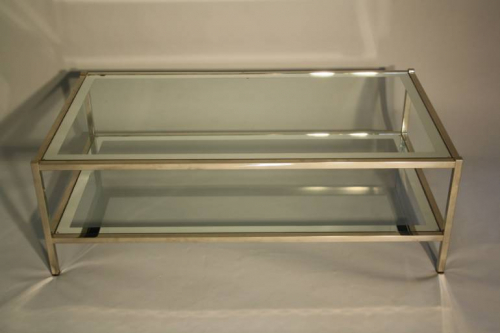 An elegant silver metal two tier coffee table. Each shelf is glass with a mirror edge border. French c1970. Please note that there is slight age to a small area on one corner of the mirror edge on the table but no chips to the glass overall.